The project “We” and “The Others” aims to enhance the quality of history teaching in seven provinces of Ukraine by facilitating a public discussion on reconsideration of the role of history in the Ukrainian society. It also aims to identify new opportunities to create a multicultural image of the post- communist society. The project is initiated by ‘Nova Doba’ – All Ukrainian Association of Teachers of history and Social Studies’ and EUROCLIO and EUSTORY are involved as international partners. Promotion of history and civic education aiming at the democratization of the social life of the Ukrainians was always the main concern of ‘Nova Doba’. In the project, a traditional ethnocentric approach is replaced with new multicultural and multi-aspect approaches to the development of history education. In addition, methodological teaching materials on the place and role of national minorities in the Ukrainian history are developed. Teachers are trained in innovative approaches to history teaching for tolerance, to use various methods of history teaching as a means to prevent national xenophobia. Finally, teachers are trained to involve pupils into researching history of various national minorities in their local communities. To develop methodological teaching materials which will include materials on the place and role of national minorities in the Ukrainian history. To train young teachers, among them students of pedagogic universities, in innovative approaches to history teaching for tolerance. To involve secondary school students in history project activities of researching history of various national minorities in their local communities. To form a network of trainers that will consist of experienced and qualified teachers from all over Ukraine to carry out multiple activities in teaching tolerance through history in the field of history education. To implement a regional Trainings program (a local training seminar, on-line course, printed materials) in order to train teachers to use various methods of history teaching as a means to prevent national xenophobia. To disseminate the acquired experience on preventing xenophobia and ethnic discrimination through history teaching. in schools, pedagogic universities, and education administrations at oblasts and regions of Ukraine. 5000 copies of textbooks and 2000 СDs entitled Together in One Land. 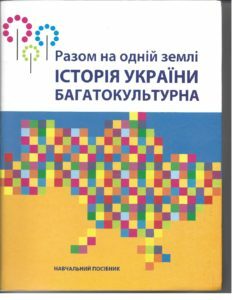 Multicultural History of Ukraine have been prepared and published. 75 trainers and 1500 teachers from various regions of Ukraine have been trained in the issues of tolerance education through history. 50 students and young teachers have been trained on multicultural issues and practice of teaching tolerance and active citizens competences. 300 students and young teachers from various regions of Ukraine have been involved into activities in multiculturalism. 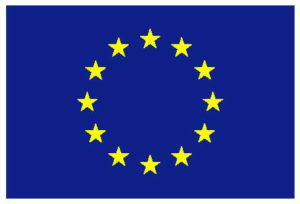 Experience and materials of the project have been disseminated in all regions of Ukraine. Together in One Land. Multicultural History of Ukraine. Petro Kenzor, Iryna Kostyuk, Polina Verbytska. Ms. Svitlana Antipova, Mr. Volodymyr Chumak, Ms. Natalia Gerasym, Ms. Nataliya Holosova, Ms. Tetyana Hoshko, Ms. Iryna Ivanova, Mr. Petro Kendzor, Ms. Oksana Kis', Ms. Oksana Kozhemyaka, Ms. Oleksandra Kozoroh, Ms. Oksana Mikheyeva, Mr. Viktor Mysan, Ms. Larysa Nikitska, Ms. Olha Pedan-Slyepukhina, Mr. Vitaliy Pestrecov, Ms. Yaroslava Riznykova, Ms. Maya Varshavska, Ms. Polina Verbytska.